It’s a lousy feeling to leave a job interview knowing you didn’t perform well. It can destroy your self-esteem and make you question whether you’ll ever find a good job. It may be tempting to wallow in self-pity, but the smarter approach is to take some proactive steps to overcome the negative experience. 1. Provide additional answers: If you were stumped by a question but later thought of the perfect response, write a letter or send an email to the interviewer with your thoughts. 2. Apologize for big mistakes: There’s no need to apologize for dropping your resume or pronouncing someone’s name incorrectly, but you should email a sincere apology for big errors like arriving late or spilling a cup of coffee on the manager. 3. Say thank you: It’s never more important to send a follow-up note than it is after a bad interview. A handwritten note thanking the manager for their time can go a long way. It’s possible your damage control efforts will land you a second interview and a chance to save face, but it’s also possible that your poor interview performance eliminated you from the running entirely. Set realistic expectations so that you’re not overwhelmed by disappointment in the event that the latter is true. 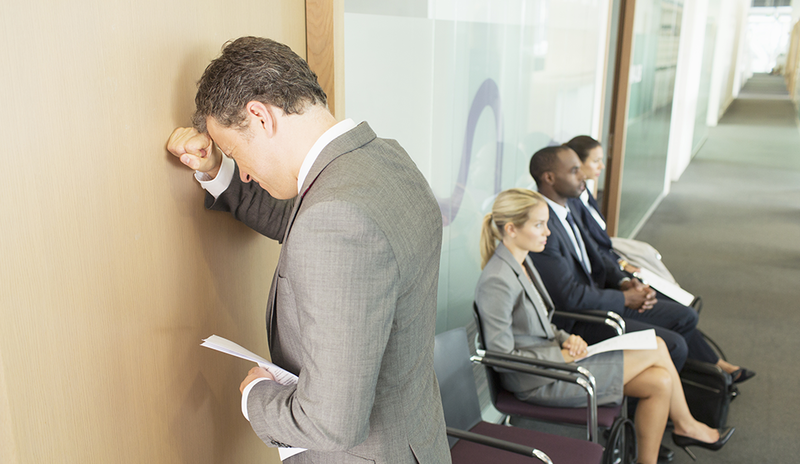 Even if it knocked you out of the running for the job, your bad interview wasn’t a waste. You can learn from your mistakes by examining what went wrong and why. Study your interview to figure out how you can improve your interview prep and perform better in future interviews. It’s unhealthy to spend days or weeks dwelling on one lousy interview, but it can be helpful to take a few minutes to reflect. - Preparation: Do you need to have friends or family help you with mock interviews? Should you invest more time in researching companies online? Does your portfolio or resume need work? Think about everything you can do before the interview to make the day-of experience less stressful. - First impression: Did you get lost and show up 30 minutes late? Did your outfit, your hairstyle, or another external factor affect how you felt? Did you forget the interviewer’s name or fail to shake their hand? Replay the beginning of the interview and look for areas to improve for next time. - The interview: Did you fidget? Were you caught off guard by certain questions? Did you ramble too much? Did you say things you regretted? Think about the areas that need improvement and then work on them during your mock interviews until you feel totally prepared. It’s easy to get discouraged after a bad interview, but you can’t let one negative experience stop you in your tracks. Keep applying for jobs and accepting interviews – even if you have to force yourself to do so. If your anxiety is at an all-time high, consider bribing yourself into continuing the job hunt. Treat yourself to a reward – maybe a sweet treat or a movie marathon – for every resume you send. To stay motivated, picture your dream job and the salary, prestige, and personal satisfaction that will come along with it. A bad job interview can make you feel like a failure, but reframing it as a learning opportunity can turn it into a valuable experience.